This particular harness comes in a size large. 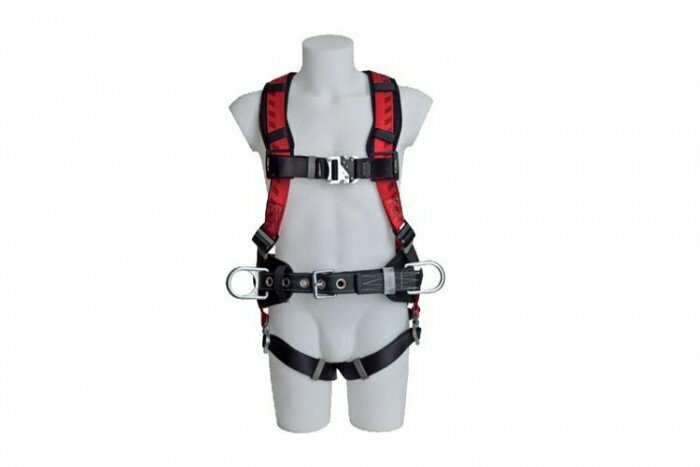 The harness also features rear attachments and side/hip attachments. Rear attachments are used for fall arrest and can also be used as a rescue attachment whereas the side/hip attachments are used for work positioning activities, allowing the worker to perform hands free work.